Is this a good or bad outcome for the VC-funded startup? We parse the release to provide you the answer. Bosch, the German industrial giant, "has agreed to acquire Seeo," according to a report on website Quartz. The Quartz report refers to EV battery developer Seeo as "one of the hottest advanced battery startups in Silicon Valley," That might be true if we were reporting on device operating temperature -- which is a reported 80 degrees Celsius. Seeo's CEO Hal Zarem did not return GTM's request for comment. Nor did a partner at investor Khosla Ventures. Which leaves us to decipher the few official utterances on the transaction on our own. According to the Quartz report, Linda Beckmeyer, a Bosch spokesperson, "said the financial terms of the deal won’t be released." Great VC outcomes usually include a dollar amount because the seller is enjoying the selling experience, as is the buyer. Beckmeyer also said that Bosch "has acquired all of Seeo’s intellectual property plus its research staff." That phrase is more indicative of an asset purchase than the sale of the company. 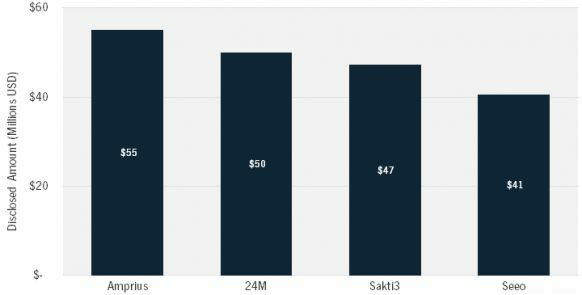 Asset sales are typically not great outcomes for VC-funded startups. A Samsung-backed battery venture being sold to Bosch is a little incongruous. Samsung is one of the world's largest battery manufacturers. 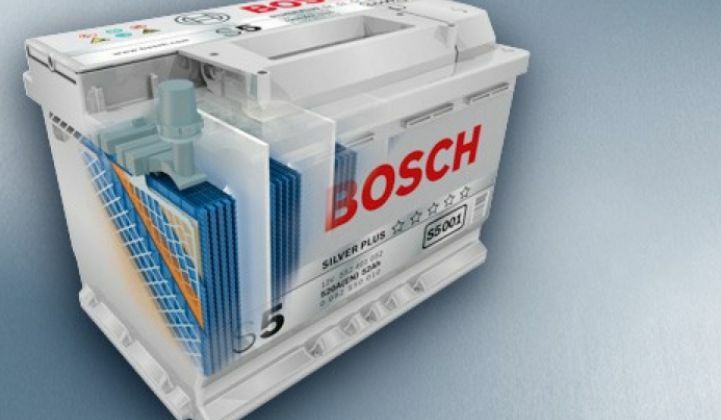 Bosch is a battery incumbent looking to enter the advanced battery fray. If the technology was really performing, why would Samsung allow the IP to be acquired? Quartz reported Lux Research's findings: "Seeo had a setback last year in which it had to switch battery chemistries." Making a substantial change in battery materials this late in the game makes for a slower route to market and more technical risk. Lux claims in a note issued today, "Seeo has been trying to pivot from lower-energy LFP (lithium iron phosphate) cathodes towards higher-energy NCA (nickel cobalt aluminum) cathodes to keep ahead of the competition." Seeo has raised more than $40 million over five rounds since its 2007 founding from investors including Khosla Ventures, GSR Ventures, Google.org and Presidio Ventures (the venture arm of Sumitomo). The most recent round was $17 million in December of last year, led by Samsung Ventures. The Seeo board consists of semiconductor industry veteran Steve Liu; Atiq Raza, former president of Advanced Micro Devices; and Hal Zarem, CEO of Seeo and former CEO of Silicon Light Machines. Seeo submitted batteries for official testing late last year, claiming an energy density of 220 watt-hours per kilogram. CEO Hal Zarem told GigaOm's Katie Fehrenbacher that the company had "started working on a second-generation battery" which will have an energy density of 400 watt-hours per kilogram, claiming that the company's current batteries were at 300 watt-hours per kilogram. (Keep that "400" number in mind.) The second-generation Li-ion batteries use polymer solid-state electrolytes and metallic lithium anodes. Solid Power, Sakti3, VW/QuantumScape and SolidEnergy Systems are also developing solid-state Li-ion batteries. It's a positive that the Seeo technology will live on at Bosch. But this transaction is not the spark that lights up VC-funded M&A activity in energy storage and battery markets.